A “gap year” is a year spent between life stages. Taking a gap year before heading off to their first year of college is becoming more and more popular with high school graduates. 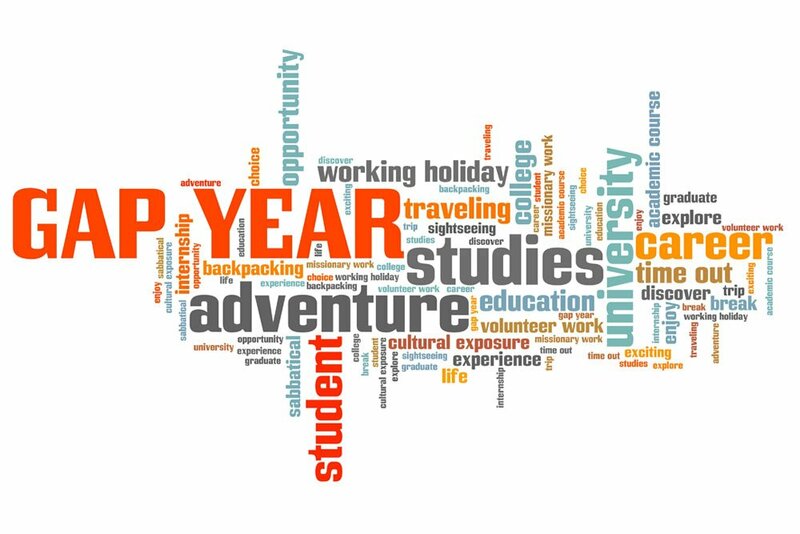 Some educators believe that students who take advantage of a gap year to work, travel, volunteer or explore other interests are approaching college with more maturity and more buy-in. There are even a handful of colleges that are offering scholarships and fellowships to incoming freshman who take a gap year. The idea of a gap year can be pretty scary for parents. Many fear that once their son or daughter veers away from formal education, they won’t go back. There are three guidelines that experts say are crucial to ensuring a successful experience for your child. First, make sure your son or daughter applies to college and then have them defer enrollment after being accepted. This adds structure to the gap year and most important, a timeline. Second, make sure that the gap year is well-planned. You don’t want your son or daughter sitting around on the couch. Students can use the planning process to build skills, explore options and start building their networks. And third, make sure that your son or daughter is helping fund his or her own gap year plans. Nothing encourages responsibility like financial commitment. While a gap year might not be the best choice for everyone, it could help students find out what they want to do with their lives. Not including pre-school, most kids are in school for 13 consecutive years, and it’s easy for them to be burnt out by the time graduation rolls around. Gap years allow some latitude in figuring out what’s next and, if planned and executed with intention, can build life skills and experiences that make a difference in students’ post-secondary success. Jeff Abell is the Teen Advisory Council Program Coordinator at Youth Resources.